Food, kids’ activities, music, interactive crafts, environmental tips, and more. “We are excited to continue to give back to the community with a celebration of Arbor Day and Earth Day! Our focus is to educate and foster environmental stewardship in every neighborhood. 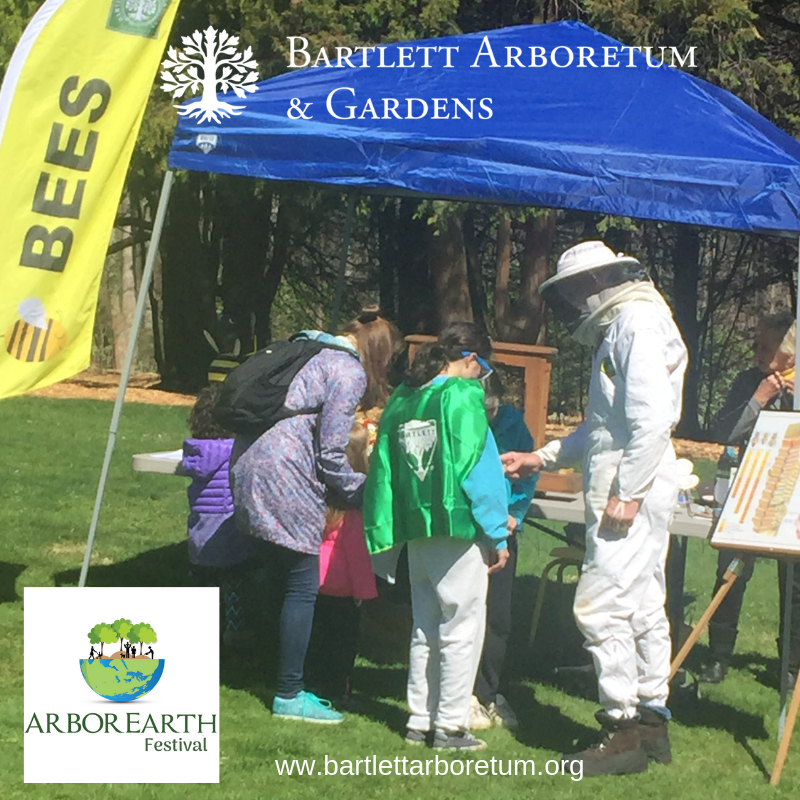 This year the celebration features new interactive crafts and activities designed to entertain and educate all ages,” said Jane von Trapp, CEO of the Bartlett Arboretum & Gardens. At noon during the event, Stamford Mayor David Martin will lead a Tree Planting Ceremony to commemorate the value of trees in our community. While enjoying Festival activities, attendees will also learn from Master Gardeners and organization staff how to care about and conserve the earth’s resources. Bee HIve Booth and Demonstration! Bucket Rides –Hold on tight and see what it feels like to ride up into the sky in a cherry picker! Kids will delight in this favorite activity. Bee Hive Demonstration – Observe a beekeeper in action! Have a chance to observe live bees, as well as eggs, larvae, and honey! A buzzing experience! Make a Seed Ball – Ready to have some fun while making the world a greener, more environmentally-friendly place? Make exploding balls of seeds that are an easy way to grow native wildflowers. Dog Booth – Visit our friends from OPIN (Outreach to Pets in Need) and pet a dog! They will bring a rescue dog who is ready to find a new home. Also, learn about the free dog training programs at the Bartlett and more! Audubon Greenwich – Learn about our feathered friends and the role they play in pollination. In addition, the Festival will have other special activities such as face painting, crafting, gardening, composting, and more. An event not to be missed! Overflow event parking and van shuttle will be available for guests at The Church of the Holy Spirit on Scofieldtown Road in Stamford. Lunch can also be purchased on site to enjoy a picnic. More information is available on the Bartlett Arboretum & Gardens website at http://www.bartlettarboretum.org/. This event is sponsored in part by TD Bank, Bartlett Tree Experts, and LaRocca’s Country Market. Thank you to our sponsors! A special thank you to our partner UConn Extension Master Gardener Program. Several Master Gardeners will be onsite to share their expertise.